Y5ZONE will help you maximize your network investment with custom solutions and unrivalled expertise in Wireless Managed Services, and takes care of your day-to-day network activities – including monitoring, troubleshooting, support, capacity planning, and more. This expert management ensures the security and reliability of your wireless networks, plus reduced downtime and lower overall WLAN costs. Every network element is monitored on a 24/7 basis, including hubs, switches, routers, controllers and access points. The Managed Infrastructure Services for Wireless give you control over the degree of management and support required through network management packages that offer a range of functions from centralized surveillance to comprehensive fault management. Managed Wireless IDS provides comprehensive detection of threats and intrusions to ensure that wireless networks are safe, secure, and operating seamlessly at all times. Y5ZONE‘s network specialists provide 24/7 surveillance and monitoring of your wireless infrastructure for detection with real-time tracking. 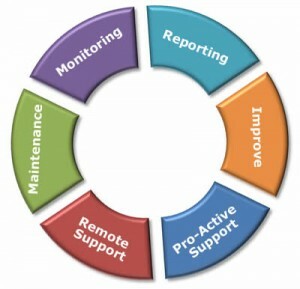 This allows for quick service restoration and problem resolution, using ITIL best practices for fault management. Managed Wireless IPS leverages advanced management tools to provide centralised, ITIL-based support services 24/7. In addition to extensive management of your wireless IPS infrastructure, Y5ZONE provides 24/7 security event monitoring for your enterprise wireless network. Our proactive response processes help to minimize risk and restore operations quickly. The Managed Guest Network Access service enables secure, immediate and simple distribution of network credentials via self-provisioning. Your customers, visitors, and partners get seamless high-speed Wi-Fi access with no reconfiguration or software installation required. This service also allows your organisation to deploy a comprehensive range of business services, such as printing, faxing, workgroup capabilities, and secure corporate network access. Managed Guest Network Access service from Y5ZONE offers a comprehensive turnkey solution that is customised to meet your needs. At Y5ZONE, we focus on designing long-term solutions that reduce network problems and lower your overall costs. Our experts reduce your risks of technology obsolescence by keeping pace with changing technologies. This ensures your wireless systems are always effective and up-to-date. With Wireless Managed Services, you’re always backed by a dedicated team of highly-trained professionals. We provide management and support to optimize your wireless infrastructure, control costs, and reduce demands on your in-house IT staff. Put our proven experience and project management best practices to work for you.